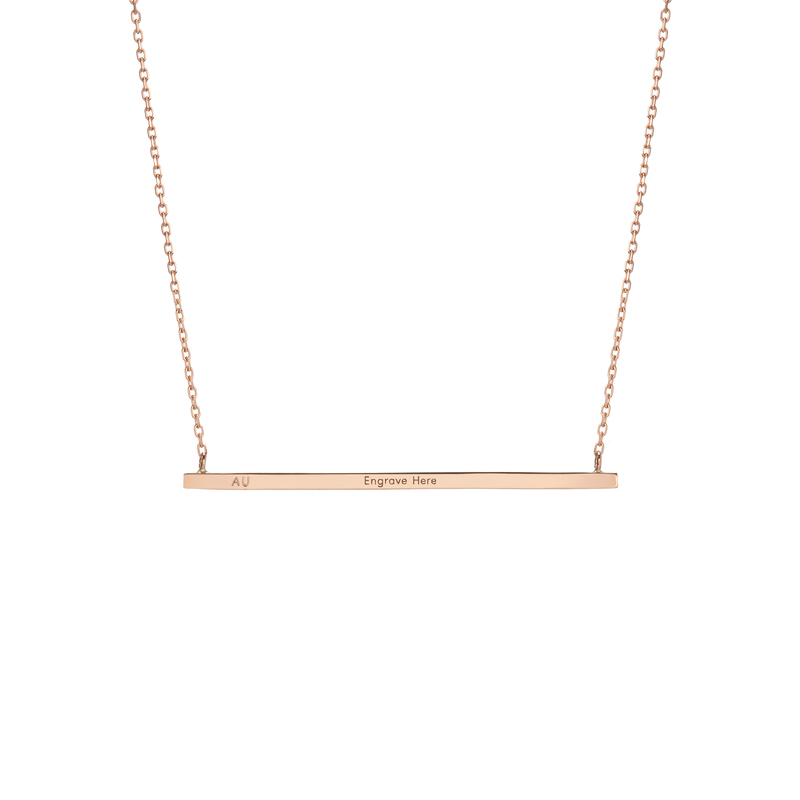 Unequivocally minimal and modern, the Gold Bar Necklace is an inspired addition to any wardrobe. Wearable at two lengths, see more here. $250.00 USD at AUrate vs.
Like the perfectly worn-in leather jacket, the Gold Bar Necklace is the piece you'll reach for again and again. A true wardrobe staple, it elevates any outfit from good to gorgeous, either taking centre stage or playing support to other, layered pieces for a bolder look. A slender, reflective bar of gold hangs suspended from a fine gold chain, secured with a lobster clasp and two jump rings for size adjustments.